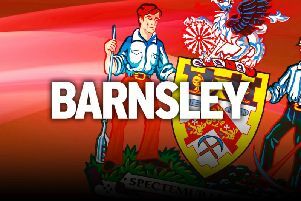 Daniel Stendel continues to rewrite the history books at Barnsley, but his mood was as gloomy as the Oakwell weather after some last-gasp anguish against Walsall. No manager in the Reds' history has enjoyed a better unbeaten start to their tenure than the seven games Stendel has now posted, as the German levelled Lee Johnson's record. He has also now delivered the club's best start to a season since 1946-47, when Angus Seed's side went unbeaten in the opening 10 matches. Yet Stendel might have needed reminding that his side had still actually not lost in the aftermath of this as it had everyone feeling like it was a defeat. It looked like the Reds were going to send their head coach into the record books on the back of another three points, when, in the pouring South Yorkshire rain, Victor Adeboyejo bundled home in the second half. But after missing some golden chances to put the game to bed, Walsall, who were also protecting an unbeaten start to the campaign, punished them in the 88th minute when Andy Cook fired home from close range. “Walsall played very good, they are a good team and they had very good chances to score but in the second half we have to win the game,” Stendel said. “We had enough chances, we played better than the first half and we had control of the game. I’m disappointed that we didn’t take all three points. Adeboyejo climbed off the bench at half-time and needed only 10 minutes to bag his fourth goal in eight games with a poacher's finish from close range. His fifth should have come soon after and it would have killed the match off but, after a sweeping counter-attacking move, the striker was denied by Saddlers goalkeeper Liam Roberts. Mamadou Thiam and George Moncur also squandered opportunities and it came back to bite them when Cook drilled home with just two minutes of normal time remaining. When the dust settles and the anger subsides, Stendel will be proud of the start he and his side have made. But for now, he is thinking about what could have been.